A downside to living in one of the fastest-growing areas of the country can be the ability of the infrastructure to keep up with the growth rate. Where does this really come into play for home buyers? Schools! Because of the tremendous population growth we’ve experienced in Wake County, there are 20 Wake County schools with enrollment caps for the 2014-2015 school year. A school with an enrollment cap has reached its maximum capacity and new students are assigned to an “overflow school” and provided transportation. 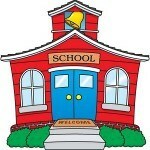 School districts can be a very important factor when buying a new home. Families are searching for just the right house in a particular school attendance zone, so a school with capped enrollment can be a deal-breaker. Your Realtor should always be aware of this vital piece of information on any property for sale in Wake County. Fortunately, our schools regularly win national awards and there are fabulous choices all over the county. If your first choice school has an enrollment cap and your children are already school-age, then the best thing to do may be to look at other homes and other schools. Helping to find the best home for you and your family is my specialty! Wake County Public School System has made it easy to check for enrollment caps and attendance zones for any address in Wake County. Don’t be caught by surprise on the first day of school!